Our teachers are independent contractors, credentialed and experienced. They will brighten your day by conveying their love of mathematics through interactive and engaging live classes so you don't have to! Our instruction is of the highest quality and we provide excellence but not conformity - variation among teachers and their teaching style should be expected. Some of our subjects are taught by one teacher, but some subjects allow you to have an opportunity to choose between teachers. If your schedule allows you to choose between teachers, check out their bio page, read comments from parents, and watch class recordings to help you decide which particular teacher will connect with your child the best. It's the only math we will use for the rest of our homeschooling. I feel that it is already very effective. We are extremely pleased with HSML. The teachers are very professional, knowledgeable and caring. We are so thankful to be a part of this math experience! I think that this experience has been the best possible experience to prepare them for college. I feel that this set up gives them enough flexibility to work at their own pace but also not fall behind. They are really learning and it is going to be easier to transition to college. Highschoolmathlive has been a lifesaver for us. I think this is our fourth year and we are very pleased! We love HSML and plan on staying through high school. This is the best high school math program that I have found. 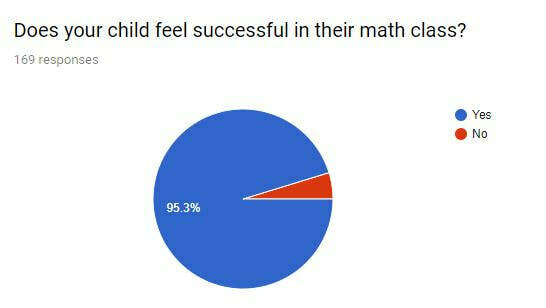 I find that the teachers work towards students having a successful math experience and learn the concepts. This has been a great experience and I would recommend HSML to anyone! This is our second year with HSML and we will not use anything else. We are very happy we found this option for math. HSML has been wonderful! The teachers have been top notch and helpful at explaining difficult concepts in an easier to understand way. I think you guys are doing great. I appreciate the use of the One Note website for grades and quiz and test corrections. It is nice to have all that information in one place. Classroom participation is something that helps my kids feel like it is important for them to be present during class time rather than just watching a video recording. Well worth the tuition - well taught and administrated! I love being able to have an online class that is real-time (with certified math teachers) with the ability to rewatch or tune in later if life happens. I enjoy teaching all of the other subjects so HSML is great in that I can outsource my weakness while still enjoying the benefits of homeschooling. My son doesn't have to sit behind a computer for all subjects, something neither of us wants. Absolutely! Best decision I ever made in homeschool (other than to start!) was scrapping my plan to do Pre-Algebra with my son and sending him to HSML. Once I saw the professionalism here when enrolling my daughter for Algebra I, I thought, why am I fighting this? Pre-Algebra is already in the range where I start having a hard time explaining the "why" of math concepts, and this has freed me from my daily early morning effort of correcting and then explaining my students' errors. It's also relieved my kids of the frustration of waiting on a mom who just has to work too hard at math herself to be their best teacher in this department. Very thankful for he partnership and the integrity of HSML. Outstanding support and communication. Excellent instruction for my kids.